Limited vacancies still exist in our U5 (skills development), U6 & U7 teams for 2016. We are looking for keen kids born in 2011, 2010 and 2009, who want to develop their skills with a great club. All fees include playing kit. Training day during the week to be confirmed. U6 & U7, play Sunday morning games. 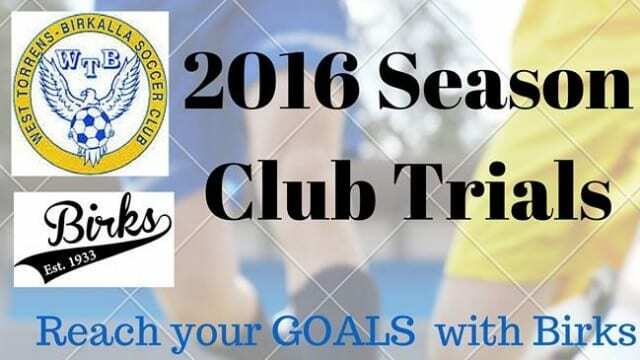 Should you have any questions, please contact Aida Ashworth, Club Secretary at wtbirkallasoccerclub@gmail.com. If you would like to register your child, please complete the attached form and return to the email address provided.